The Boat House is something very special – it is a vintage tea rooms complete with a 1940’s parlour that has been designed specifically to cater for the needs of guests who have disabilities and their carers, care home visits and social groups who may have members that will benefit from the many disability friendly extras. For instance there are spacious well equipped fully alarmed disabled toilet facilities, wheelchair access throughout thanks to the inclusion of ramps and extra wide door openings , even specialised cutlery should it be required. Based at the picturesque marina Lyme View, The Boat House is nestled on the tow path of the Macclesfield canal and therefore it can boast being the only tea rooms where you guests can sit and enjoy the delicious traditional Afternoon tea and live entertainment whilst watching the boats sail by! 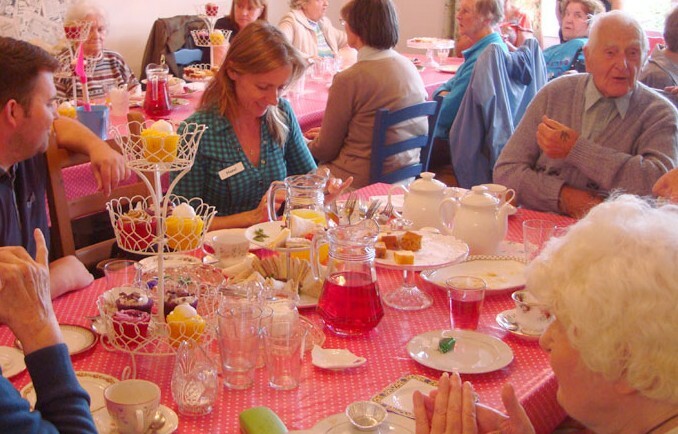 The Boat House hosts traditional Tea Parties that are based around a monthly changing theme. November’s Tea Party is dedicated to the wonderful Doris Day and as well as including an hours performance by a tribute artiste. The rooms will be decorated with memorabilia and touches all relating to Miss Day! Booking is essential due to the nature of the events.